320 pages | 25 B/W Illus. Since skin forms the interface between the human body and the environment, its mechanical properties are important in health and disease. 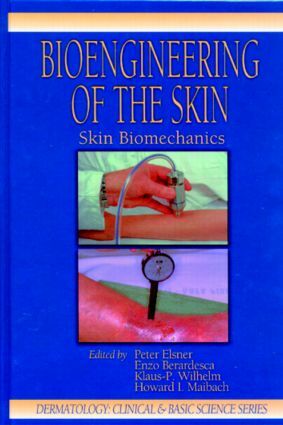 Bioengineering of the Skin: Skin Biomechanics gives a thorough introduction in the biological basis of skin biomechanics. It explains the non-invasive methods that allow measurement of the mechanical properties of the skin focusing on commercially available instruments. Written by internationally leading experts in the field of non-invasive measurement technology of the skin, this volume describes the anatomy, biochemistry, physiology, and pathology of skin biomechanics. It explains in detail how to measure skin mechanic properties and how to use these measurements in the development of drugs and cosmetics. "Researchers who must evaluate changes in the biomechanical properties of skin would find this book fascinating and very useful - or they may already know most of the information and find it a good reference to look up and confirm facts… 4 Stars!"